Could someone please play a record at the wrong speed? 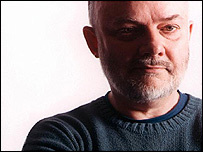 I'm curious how many americans knew of the late, great John Peel? From my conversations today, it would appear that not that many of my fellow countrymen were aware of Peel. I find that very depressing.